Summer is widely regarded to be the most social season; when the sun comes out people can’t resist getting together with friends and family, enjoying barbecues, trips to the beach and walks in the countryside. For those spending summer without a significant other, the season can be a lonely one. But there is still time to rectify that, with elite dating agency Bowes-Lyon Partnership. Summer is the perfect time to get serious about dating prospects, purely for the multitude of fun activities it presents for potential dates. What better way to get to know someone than zooming through the rolling countryside for the afternoon on a hired tandem bicycle, or taking a champagne picnic to one of the UK’s many summer cinema screens which pop up in parks and communal areas? Joining the exclusive dating agency now means those looking for a meaningful and lasting relationship can enjoy a few months of exciting and fun-filled dates, no matter what their hobbies and interests are. Bowes-Lyon Partnership sets itself apart from other dating agencies in that it matches its clients individually, based on personality traits and the values of both parties. This not only increases the chances of finding a soulmate through the professional dating agency, it also reduces the risk of spending one of the UK’s rare summer’s days in bad company. Who wouldn’t want to spend a dusky summer evening enjoying a glass of wine on a terrace with an accomplished individual who has been hand-picked, using a combination of matchmaking instinct and the innovative Bowes-Lyon Index? Once a match has been found, there is scope to enjoy a plethora of activities in the summer months. Take a trip to a quaint seaside town with a traditional promenade, fish and chips on the pier and a boutique hotel overlooking the coast. Enjoy all the wonders of the city in summer; London’s abundance of green space offers the perfect backdrop for a mid-afternoon picnic or a pleasant jaunt on some ‘Boris bikes’. Cool off and take a break from the sunshine in one of Manchester’s many museums, including the Museum of Science and Industry or the northern branch of Imperial War Museum, overlooking the glittering Salford Quays. Those who like to keep fit can take advantage of the beautiful weather to get out into the countryside and try something new; hang-gliding, abseiling or gorge walking make great alternative dates, and Britain’s tremendous selection of country pubs make perfect locations to really get to know a match. 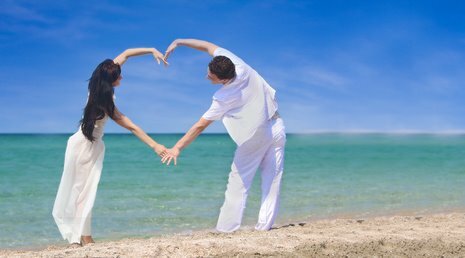 Joining the high-end dating agency now gives ample time to undergo the initial consultations, take advantage of the complimentary services, which include sessions with relationship gurus and fitness experts, before finding a perfect match and having an unforgettable summer.